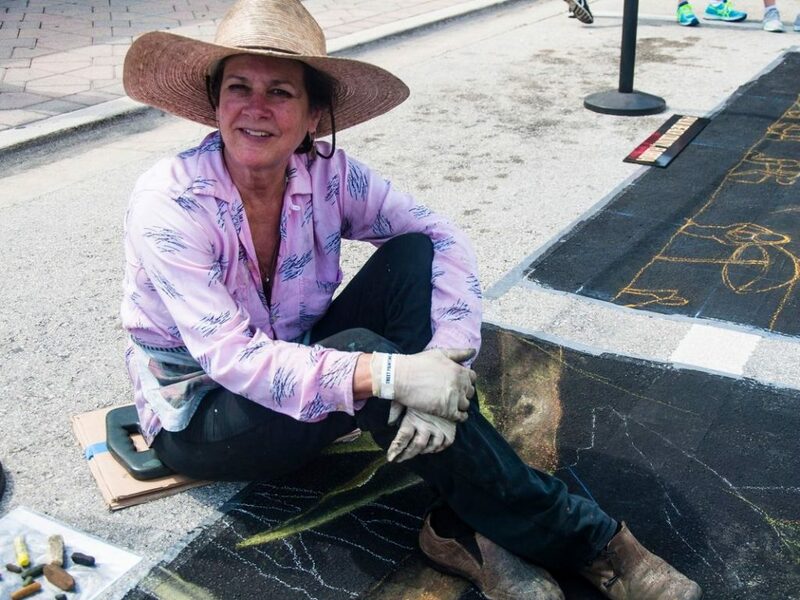 Ann Hefferman’s exploration of street painting began over 20 years ago with the I Madonnari Festival in Santa Barbara. Her work often derives inspiration from forms of nature. She is drawn to artistic expression that involves and engages its audience; that which is inclusive, accessible and participatory. Ann lives in Santa Barbara and works at the University of California during the day and moonlights as an artist and mariachi in her off hours.